Smooth and sophisticated, Idora faucets prove that sometimes it's the quiet statements that command the most attention. Softly sculpted, Idora offers a beautiful balance of curves and linear forms that add depth to a modern bath. This 2-handle centreset bathroom faucet is designed to complement the Idora bath collection by MOEN. Inspired by vintage metalwork, Worth faucets combine bold facets and intricate detailing for an industrial chic look. With a handcrafted aesthetic, this 4" centerset bathroom faucet brings relaxed sophistication to traditional decor as well as modern designs that embrace classic elements. Idora 4-inch Centerset 2-Handle Bathroom Faucet in Spot Resist Brushed Nickel Smooth and sophisticated, Idora faucets prove that sometimes it's the quiet statements that command the most attention. Softly sculpted, Idora offers a beautiful balance of curves and linear forms that add depth to a modern bath. This 2-handle centreset bathroom faucet is designed to complement the Idora bath collection by MOEN. 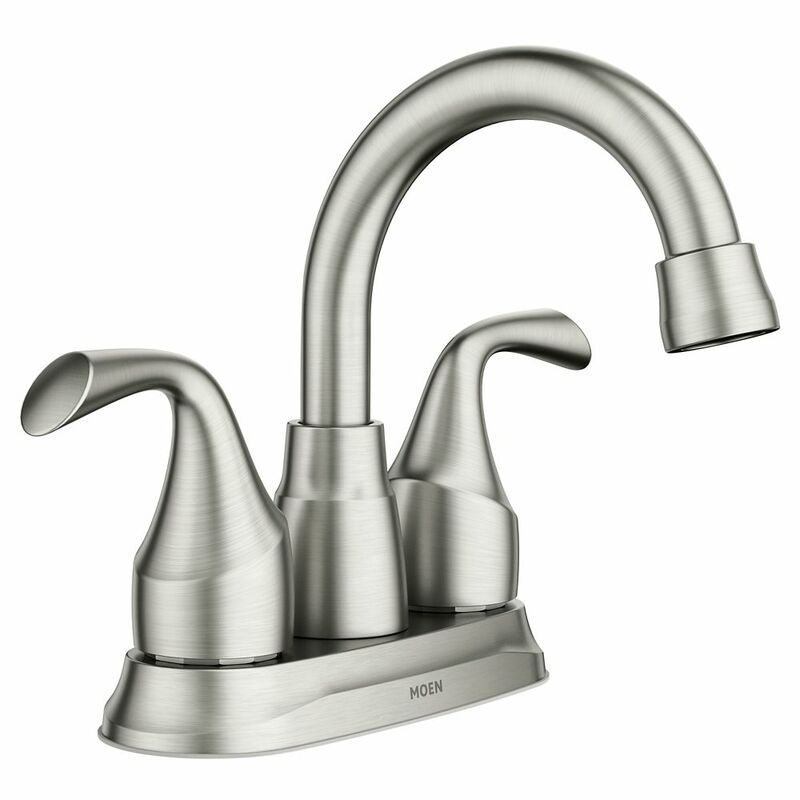 Idora 4-inch Centerset 2-Handle Bathroom Faucet in Spot Resist Brushed Nickel is rated 4.7 out of 5 by 18. Rated 5 out of 5 by Linda from Great value for the price. I purchased multiples to update... Great value for the price. I purchased multiples to update my baths. Stylish and sleek Moen quality. Fairly easy to install. Rated 5 out of 5 by Dore from I love it, works very well and is very nice looking. I love it, works very well and is very nice looking. Rated 5 out of 5 by AM2L from I had my plumber install the set I purchased. ... I had my plumber install the set I purchased. Not only is it aesthetically pleasing, but does resist the water spots. It sure makes the bathrooms look much cleaner.